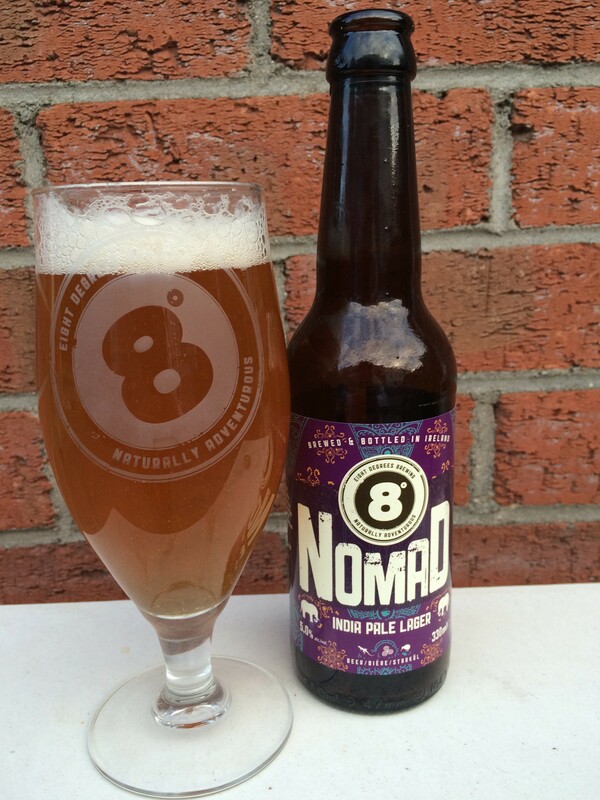 Over the summer Eight Degrees released their latest limited edition beer, Nomad. 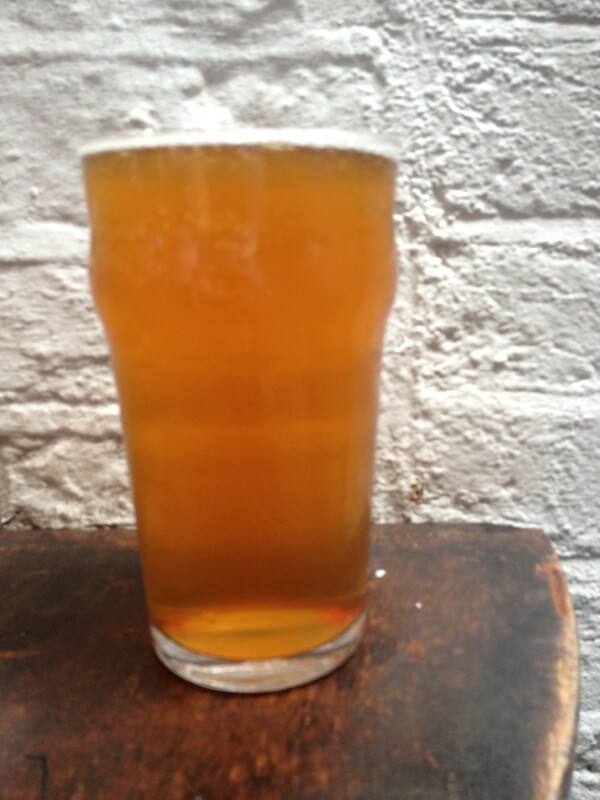 It’s an India Pale Lager folks. What’s that you say? It’s a style that has many detractors. 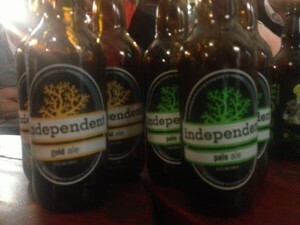 A few see it as just an excuse to introduce a little variety to the IPA. The common denominator being hops and lots of them. It may fall outside style guides and the majority may be just going for the hop hype effect. However, when it is made well, it can be something to be sought after. Who better than then the likes of the Mitchelstown crew to try their hand at this. They’ve made some truly fantastic stuff over the past few years. Not only do they love what they’re doing, just as importantly they know what they’re doing. Nomad pours a golden rich honey colour. But as you look at this beer, you become conscious that this beer has a big, big aroma. Think pungent pineapple, kiwi and tangerines. It’s fresh. There’s a crisp bite to this beer with the first sip. There’s no sense of sweetness there. There’s a similarity with the likes of Jever and other northern German lagers but that’s where it ends. This beer certainly cannot be described as austere. It’s anything but. The aroma blends superbly with the clean, bitter body and finish. Nomad screams out for food to be savoured alongside it. 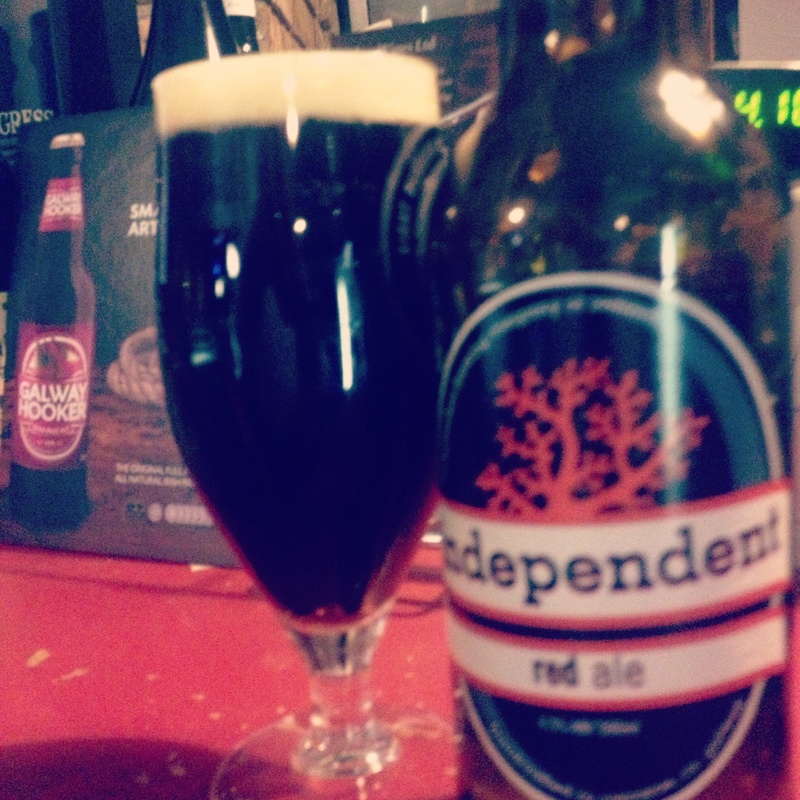 It could be one of the better beers this summer to have a with a good burger. It has bitter and crispness, along with a degree of heftiness that could match the char, red meat and an overdose of toppings that are burgers these days. The beer works but like other IPLs, would people keep looking for this style of beer? 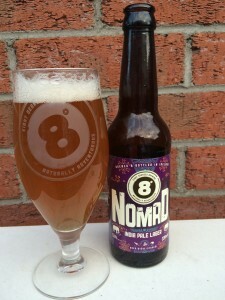 Nomad makes a good seasonal release for sure. 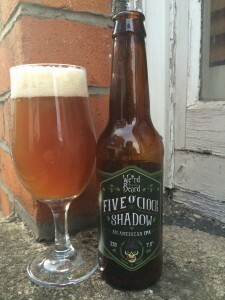 However, will hop heads continue with this style beyond the rare occasion? It’s doubtful beyond those ticking it off the list. But the willingness of Eight Degrees to constantly give things a go is to be admired. They have enough in their core range to appeal to varying tastes and that’s before we get to their rotating range of specials. 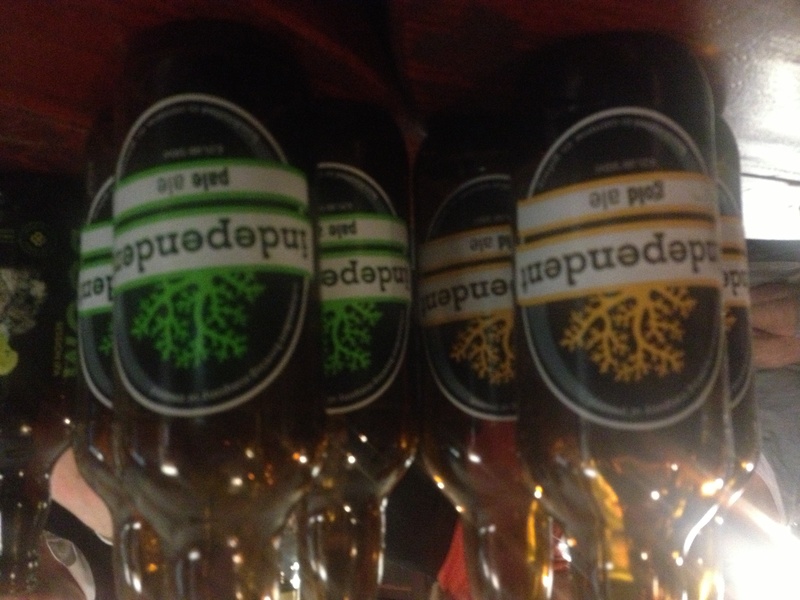 In fact, you could look to their limited releases to get a full picture of the challenges facing the IPA today. 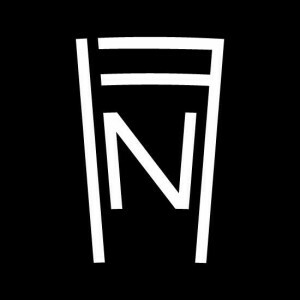 Besides changing up the hop bill for various releases, there has been black, white, double, single hop, single malt and session IPAs all from this brewery. This is replicated across the globe. Have we reached the point when beards or at the very least not shaving for a week or so is no longer confined to the hipsters. Perhaps we’ve reached a tipping point in the way that beards used to be associated more with trade unionists than trendiness. As someone who’s averse to fashion, this was a welcome development when I found myself not shaving for a week or so. It was certainly more convenient but eventually I got fed up with it. Having a beard is not for me. I can certainly see why a fair few brewers have them, due to the early morning starts. 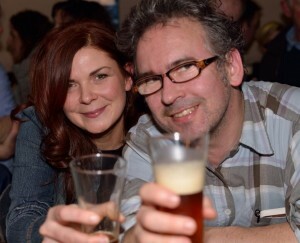 Or in the case of Rogue’s John Maier it can be useful to cultivate a yeast strain. 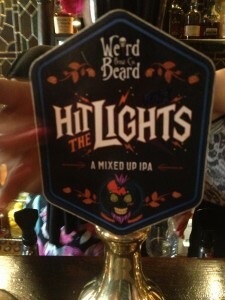 Instead, I’m happy sticking with a beer or two from Weird Beard. 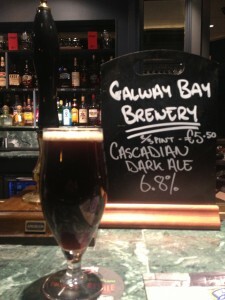 The brewery is yet another one of those from London that is producing interesting beers. I’ve had a few of these over the past year or so and was impressed with Fade to Black (black IPA) and Black Perle (milk coffee stout). 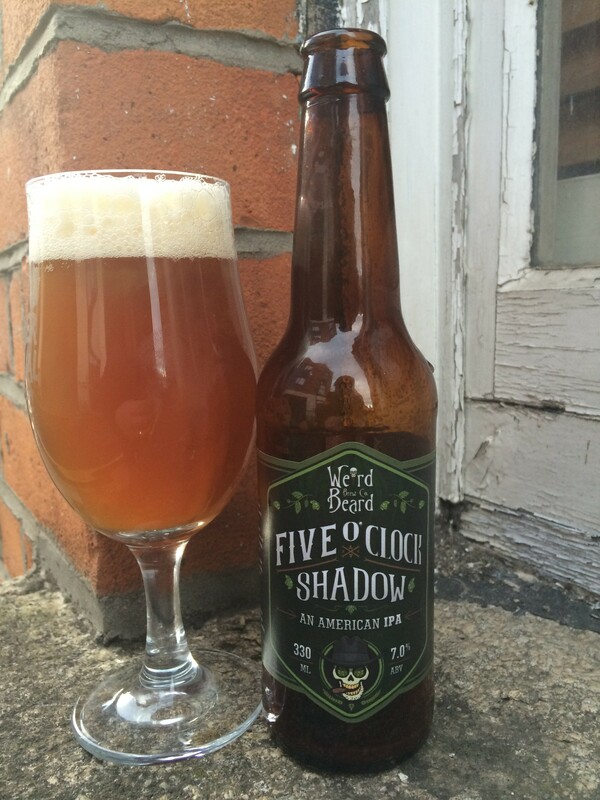 A recent beer I had from theirs is in keeping with my brief separation from my razor, Five O’Clock Shadow. It’s a big IPA in terms of strength. At 7% abv it tips it at the higher end of the style. It pours a hazy, copper and orange. There’s grapefruit, pineapple, mango and a hint of passion fruit on the nose. However, the tropical aromas are perhaps more reminiscent of a sweet tropical fruit syrup. 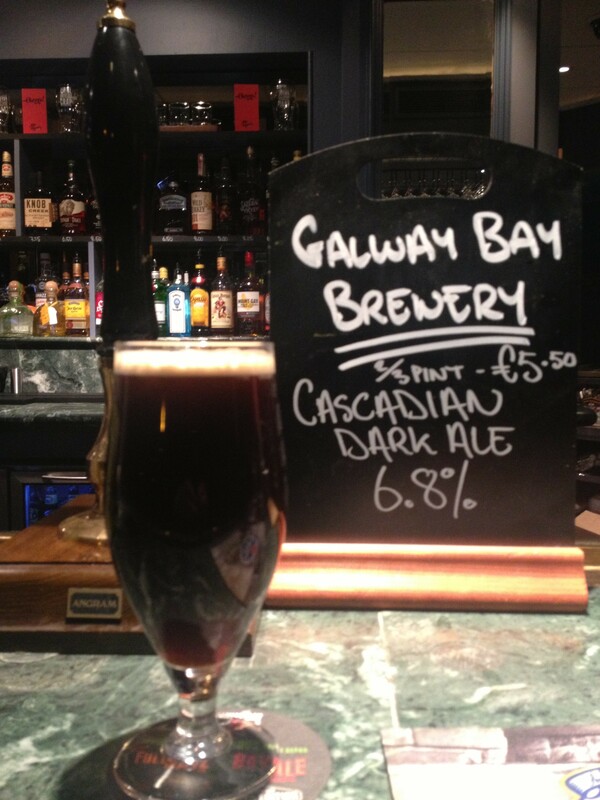 On tasting, you’re hit with the carbonation first with the topical fruits notes growing in the flavour. 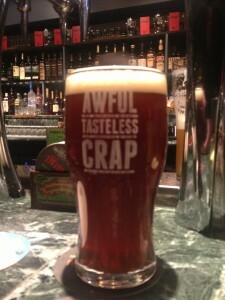 It’s as if this beer is determined to clean the palate before appreciating every sip. A chewy, sweetness develops as you drink before leading to a bitter and warming finish. It’s a subtle reminder of the beer’s strength. 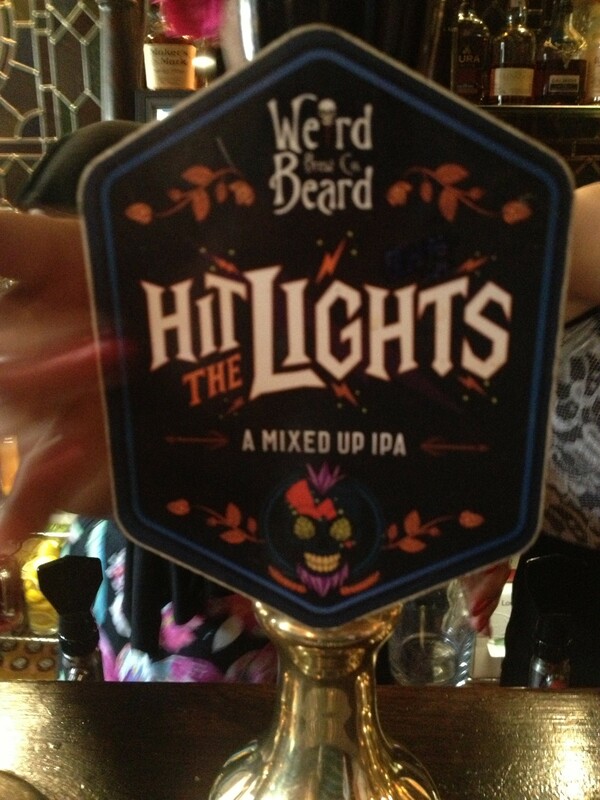 Hit the Lights is a 5.9% abv is billed as a “mixed up IPA”. It presents a golden orange colour in appearance. There’s rich orange and citrus on the nose thanks to the hop bill of Target and Aurora (bittering, flavour and dry hopping). It was slightly watery at first before a fresh fruit bitterness taking hold. The malt backbone lends a certain amount of sweetness to the flavour. There’s a sticky, bitterness to the finish that is reminiscent of a rich marmalade. Weird Beard is a brewery that I will continue to look out for and hopefully more of their beers will find their way over here. Actually as I write this, I am reminded that a trip to London is long over-due.